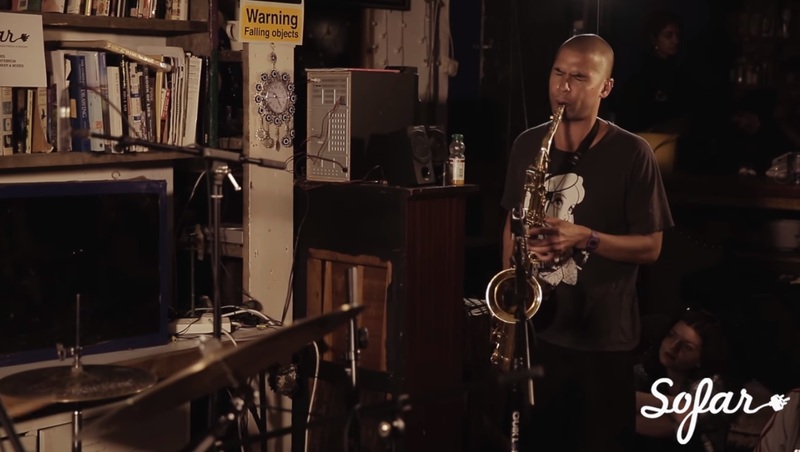 In just two years, fiery saxophone-drum duo Binker & Moses (Binker Golding and Moses Boyd) have won a loyal following for their intense, hypnotic live shows. Their debut album Dem Ones (2015) was recorded live in Mark Ronson’s Zelig Studio and won the coveted MOBO award for Best Jazz Act, also seeing them named as both Breakthrough Act & Jazz Act of The Year at the 2016 Jazz FM Awards. Binker & Moses released their highly anticipated second album Journey to the Mountain of Forever in Summer 2017. Like its predecessor, the new album was recorded live, direct to a 1960’s Studer C37 1/4” tape machine at the Gearbox Records studio.